If Crunk was Made with A Sprinkle of Ghetto-Hood of Afro Flava, it'll Sound a whole lot like this. This song titled (I Don Blow) is a combination of Crunk HipHop and African Fuji. It features the popular Fuji singer Brace, who did the song (Ariwo Ko) with Fr3style of trybesmen. Geo5ive aka (Isaac Atibor) is a Nigerian born Child with an infectious personality. Spend five minutes with Geo5ive and he will have you laughing and feeling like you are talking to a friend you have known forever. 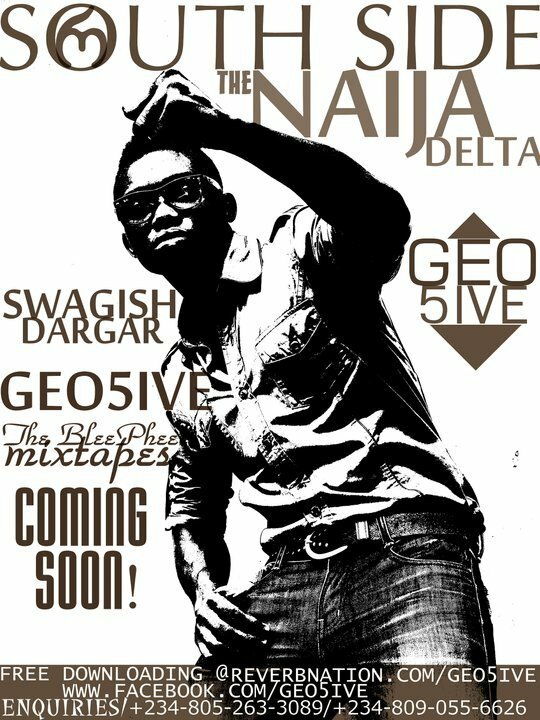 He is the Only Son among two immediate Sisters.Geo5ive has been entertaining his friends from birth. Now he is about to entertain the world. Geo5ive is from Etsako East Local government area in Edo State. a single Title "Cinderella's Party" which did not gain much air play and was one on the streets of lagos and few areas in Abuja. He was once an Assistant Co-ordinator for an Award Organisation Called Teens Favorite Award-an award which has been won by top celebrities and Companies in Nigeria like D'Banj, 2face, Stephanie Okereke, P Square, His Excellency Babatunde Raji Fashola, Jim Iyke, British Airways, Lamata, MTN, First Bank,Silver bird Television,BELLS University, Vanguard Newspaper, African Independent Televison, Eko 89Fm, Bic Biro, Wale Adenuga Production to mention a few.